Call today for a free estimate on lawn care! Signature Landscapes: the trusted landscaping contractors of Erie, PA. When you need quality landscape design and lawn care, turn to Signature Landscapes. Our landscaping contractors have been serving the Erie area for years, creating gorgeous designs as well as providing expert lawn maintenance. Our landscaping contractors serve both residential homes and commercial businesses, so whatever you need, don't hesitate to call. A beautiful landscape will complement the exterior of your home. If your selling your home, investing in your landscape will give you the best return on your investment. A beautiful landscape improves curb appeal which is an important factor when selling your home. Which is why you should rely on our trustworthy landscaping contractors if you are in the Erie, PA area! When you want the absolute best in lawn care, you want Signature Landscapes. Increase the curb appeal of your home and business and create a more pleasant atmosphere where you live and work with some of the most in-demand landscaping contractors around. From basic lawn care to artistic design, you can be certain that you'll get it all for one affordable rate when you work with Signature Landscapes. Leave it to us to make sure you have a presentable yard with our lawn care services! 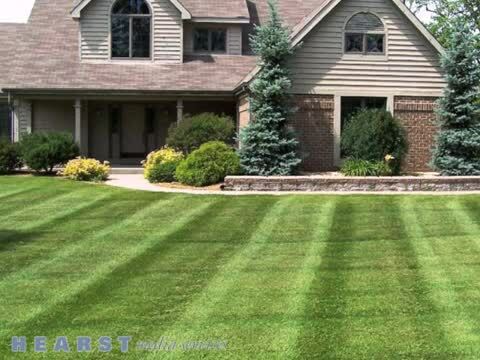 We offer quality lawn care services to residential and commercial clients in Erie, PA and the surrounding areas. You don't have to waste your time and energy when you have our lawn experts on your side. Our experienced staff will make sure that your lawn is clean and presentable throughout the year. We offer comprehensive lawn care services at competitive prices. If you have more questions about our services, get in touch with our friendly representatives. If you are tired of wasting precious time cutting your lawn on the weekend, our team will take care of it for you. Our affordable lawn care services make it easy to part ways with your lawn mower. If you are ready to start enjoying your time on the weekends, then give us a call! Still not convinced that Signature Landscapes is right for you? Call today for a free estimate on your lawn care and landscaping needs. You'll be amazed at the quality work you get for one low rate. When you're serious about your lawn care and landscape, there's only one company to turn to: Signature Landscapes. Our staff at Signature Landscapes take pride in our proactive, solution-based methods, and will carefully monitor your lawn to prevent any issues which may arise. From hospitals, office parks, and campuses to retail spaces, country clubs, and condo associations, Signature Landscapes will oversee and execute a custom design program that suits your needs. As Erie, PA’s leading lawn care contractors, we'll even develop a custom care and maintenance program that can increase your property value and enhance your corporate identity. Really, there should be nothing stopping you from picking up the phone and contacting these skilled professionals today! Offering the finest in landscape design services for the Erie, PA and nearby areas! Nothing makes a better first impression than quality landscape design. When people come to your home or business for the first time, they notice a lot more than you think. Make sure that you make a good impression no matter what: call Signature Landscapes for expert landscape design and lawn services today. Custom landscape design can have a major impact on the appearance of your home. Designing a great landscape is more than just choosing flowers and shrubs. Landscape designers understand how to use landscape features to make the exterior of your home look beautiful. Remember that when you are in the Erie, PA area, you can rely on us. We hope that when it comes to your yard, you choose a team that knows how to really make an impact. At Signature Landscapes, we are that team. Give us a call to enhance your yard and improve your properties aesthetics! Rely on Signature Landscapes to deliver the timely, efficient, and professional service you require. These talented contractors have made a real habit of constantly exceeding customer expectations. Speak with Jessica Harrington today at 814-897-7876 and she'd be more than happy to present you with a free estimate. Professional landscaping service has truly never been this convenient or affordable! Signature Landscapes is your source for quality landscape design in Erie, PA. When it comes to lawn care, no one does it better than we do! Our landscaping contractors do it all, from hydro seeding to snow plowing to shrub trimming and more. We service residential and commercial customers.